Set up by the network 107, the councils of relatives are spaces of exchanges bringing together the relatives of a sick person in mental health on a given territory. These are not speaking groups, even if the themes addressed come from the experiences of families. Participation is free, they have no limits in time and always need new recruits. What are their roles? Concretely, what are they for? What are their progress since their creation? What are their links with user councils? Georges Legros, representing relatives of Similes. Didier de Riemaecker, coordinator of the Namur Health Network. How is the council of relatives of Namur organized? GL: We meet every month and from the start we decided that there would be a Similes representative on the Network Committee  and the Network Coordinator  so that the council of relatives would always be informed of what is decided in the network and conversely that the network committee is aware of what is said to the council of relatives. D de R: The close council is highly listened to by the network committee. The specificity is that the committees of function  of 107 and the council of relatives have almost started at the same time so the collaboration was done naturally. The network committee often formally requests the advice of the council of relatives, it also works in the other direction. For each individual situation we extract a general theme that allows us to better make ourselves heard. Do you collect testimonials and then what do you do with them? GL We start from the experiences we get, either the person himself or a situation experienced by someone else and we try from particular cases to extract more general problems, to work them and then to make requests or recommendations to the network committee, which sometimes puts one of these function committees to work. For example, a person with mental health problems had been transferred from a psychiatric hospital to a general hospital for physical health problems and there had been a series of difficulties that had arisen which showed that coordination and communication were insufficient. We did not take this personal case, but in general we focused on continuity of care and alerted the 4 (4) hospital committee that looked at the problem and made proposals as an information file that follows the patient to ensure this continuity between the 2 institutions. What are the concrete advances after 4 years of existence? GL: There was a lot of thought in the CP and then in the fora of the network which resulted in a text of official recommendations for hospitals on collaborative practices (try to connect more the hospital with the network of the patient to start with his family, before, during and after hospitalization) and the relatives' council was kept informed of the progress of the file. There is an exchange of information within the network. In recent months we have been working on the reception of families in hospital infrastructures with the designated representatives of the 2 main psychiatric hospitals (Dave and Beau Vallon). We have agreed to meet some teams in hospitals and see how they work and what difficulties they face, we are listening. We will use the text I mentioned about collaborative practices and we will suggest that hospitals translate these recommendations concretely into their documents. D de R: It's not: "Come hear us and then change! But rather "We make proposals …" For example, we wanted to organize hotlines for families in hospitals with volunteers from the council of relatives. This has not been implemented because the promoters have proposed something else that is to say "family referents" that is invited to each council of relatives. At the moment, we are working on the hospital's hospital brochure, we are analyzing the place given to families, we are starting from what they are doing and we are proposing some improvements. There is a bond of trust, we meet in many meetings within the network and they know that we arrive adequately and not militant. Are there other collaborations within the network? D de R: The users will do the same thing as the advice of close at the level of collaborative practices they are inspired by us. The tools of one can serve the other. Miette Brébart, representative of Similes' family. Charlotte Ducrotois coordinator of the Hainaut network. How is the council of relatives of Hainaut organized? Ch D: Initially the relatives wanted to pass information to relatives. The advice of relatives is not just to make recommendations to professionals. So family members help the families of users with the support of professionals or not. The very idea of reform is to be a partner of professionals, that is to say that families have access to the network, groups of words. Specifically, we implemented a notebook of relatives (gathering information for families that professionals will integrate later in their work). Relatives do not only have the word, they also act and become partners. What is the balance sheet after 2 years? MB: Our first job was to invite families through professionals who meet more families in disarray. We got to know each other and then we collected the testimonies of the families on the lived situations. We also welcomed professionals from mobile teams and protected dwellings. Recently we made the process of making known to a mental health service in the region It is both to make known Similes, the close council and the network with the SSM . And we would like to multiply these steps. MB: In the beginning, about half of the time was devoted to personal situations, with all the bitterness and resentment that we imagine … This is part of reality. Now we know each other better and we come up with more constructive projects. One of them is the notebook of relatives which is soon reached. We participate in the network committee where we talk about our progress. MB: Unfortunately we are few … 4 faithful only! Ch D: We always need new blood, everyone comes with his experience that can benefit the network and focus on a new theme to address. Didier Kampfl coordinator of the network in Liège. Claudine Freson, representative of Similes' family. How was close counseling started? DK: The whole initiative is part of a preliminary reflection with the representatives of Psytoyens  and Similes Wallonia since we have created separate councils of relatives and users, because the points of view, the priorities and the interests may be divergent between the 2 groups. This does not preclude periodic exchanges between them when the circumstances indicate. From then on, we produced a document which reminded us of the framework of the reform and the primordial place of the users but also the importance of the support provided to the relatives in this one. These 2 councils are network organs as well as network committees and other working groups. Of course these groups have specific missions. CF: In the beginning people were sometimes misinformed and thought they were in a talk group. When there are new people coming forward, there is a prior meeting so that they do not come out of the clouds when they arrive. CF: The reception of families in hospitals has been accepted because it corresponds to the very frequent requests of groups of words. So concretely the lack of contacts, the lack of communication when a sick relative is hospitalized. DK: So we wrote a document on the reception and we presented it to the committee of function 4 where the reactions were mixed … The representatives of the partners are rather anchored in the tradition of the "privileged relation with the user" ( professional secret). We tried to differentiate between the information that concerns the therapeutic work and another level of information that is functional and institutional (functioning of the institution, contribution of relatives, visiting hours, making contact Another aspect would be to get in touch with the caregiver who is following up with the loved one (preparation of the outing, connection with an association of relatives). Finally we invited the partners of the function 4. CF: For 3 months, we have been receiving hospital staff at the request of the coordinator to explain how they work with families. We especially listened to them. We received the emergency services of the citadel; Chief Nurses of ISoSL, CHR Huy, Clinic NDA, CHU Liège and the day hospital Clef in Liege. Thereafter, we will exchange information received. The brake most often mentioned is the professional secret. We have specified with them what kind of information we need, the reason why parents need to be kept informed (anyway at one time or another we are turning to them) and how it can be interesting to have an opinion other than that of the patient. With respect to the follow-up of the patient from one institution to another, there are gaps in information. We do not leave someone in the wild after a hospitalization. We still have to work on it and the modalities must be defined with each hospital. Are there any improvements after one year of operation? CF: The fact that they accept the meeting shows that there are changes, it is important to create a direct link. The fact that professionals come out of their institution is new! Some hospital workers returned from the colloquium (Namur 221116) saying, "We believe we are working well to welcome families, but there is still work to be done". We are also questioning ourselves and trying to show that families are making sure they are adequate. The representatives of the councils of relatives are seen in "intervision" which makes it possible to exchange on the projects and to share some initiatives between regions. During the last meeting with CHR Huy, they asked us to come and inform the students of their nursing school. Olivier de Ghent coordinator of the GTUP in Brussels East. Gabriel Tala representing relatives of Similes. What is a User-Working Group (GTUP)? O de G: The goal is to reflect together on specific themes on the different functions of the network 107 and from there to bring recommendations via Similes and Psytoyens. We exist since 2012. The network committee relays what it wants to put into practice as recommendations coming from Psytoyens and Similes. For example, last year, a questionnaire was developed in relation to function 4 to determine the reason why communication does not occur between associations and hospitals. We really think about everyday practices. GT: We note that users who are in associations come regularly to working groups or conferences but not service users or relatives. Unfortunately, in Brussels, we have few relatives in the GTUP. 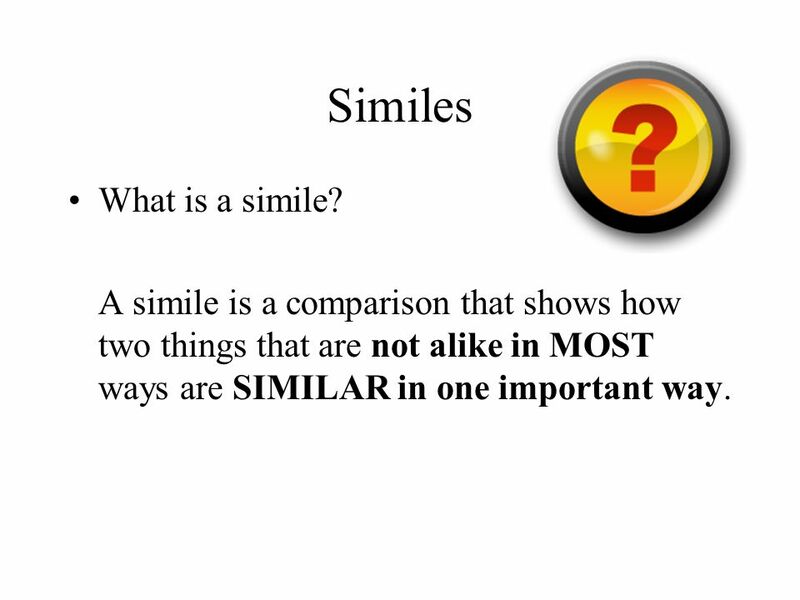 They are represented by two professionals from Similes Brussels. What is problematic … it would take a close accompanied by a professional. In concrete terms, how do you meet? O de G Information was made for the general public, with users, students and professionals, such as a conference in collaboration with the hearing of voices. Unfortunately few people come … We try to spread as widely as possible to reach more loved ones so that their voice counts. GT: The GTUP organized training and information days with the FPS Public Health. For example a training given by the Funambulist. The goal was to talk about the recovery seen by users and loved ones, and how they envisioned this recovery process. And the other training was "How to envisage the information, the sensitization and the destigmatization of the disease". These courses were open to the public. Are there any difficulties in having users work with relatives? O of G: Clearly no. Personally, we are stronger by being a user-close group to develop common recommendations and demands. On the other hand, with regard to certain topics such as reception in hospitals, this should be split because the reception of the relative is not the same as that of the users. Each has its specificity so it takes 2 different groups that can be reduced to one later. GT: The points of view between users and relatives differ in certain subjects. What is good for one is not necessarily good for the other. Putting them together does not facilitate dialogue, we take gloves to be well understood by each other. But precisely, it is not the standardization of the point of view that matters. What is a user council? After a year of existence, where do you stand compared to other boards? JD: The first was Namur in 2012. Then Liège arrived a year ago. Verviers is in its infancy and there is also a council of users in the Luxembourg region which was created a few months ago. There is also the GTUP but which is not only a body of opinion, it has more freedom compared to the other user councils by organizing for example training (see ITW Olivier de Ghent) In general , the users' councils align themselves with the problems that are worked by the professionals in the network. How does user advice work? Are there connections between the different CUs? Or between relatives and users? JD: The participants of the user councils do not necessarily see each other between regions. It is their representatives who see themselves in "intervision" who invest themselves in the working groups. The advice of relatives and users are well separated in the regions. I know that Liege plans to make joint meetings after a time with the advice of relatives. Now we see in the evolution of the networks 107 that it would be advisable for the user and family councils to see each other more often. But we are not there yet because the concerns of relatives and users are not the same at the same time. For example, the theme of reception in hospitals worked by the council of relatives is not necessarily worked on the users' council. The fact that the two boards are distinct allows everyone to establish their point of view at first. Are there meetings with professionals? JD: There are links with the outside, especially in Liège and Namur. Sensitization days organized in Namur with professional meetings. In Liège, for example, they were invited to express their point of view during a day on socio-professional integration. So there are round trips that start to happen. Space of consultation between all the actors of the same function. It includes service guards, a user representative, a family representative and the Network coordinator. He can invite experts according to subjects. Intensive residential treatment units, for both acute and chronic psychic problems, that is, hospital care. The Funambule is an association whose goal is "to offer people living with bipolar disorder and their loved ones a place of listening, exchange and information, by organizing and coordinating groups of help among others but not exclusively.